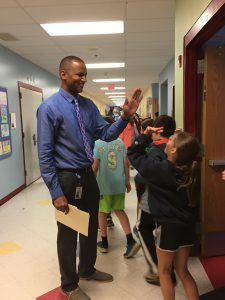 It was a terrific week in the Milton Public Schools as the Milton Foundation for Education announced the Teacher of the Year at each school. 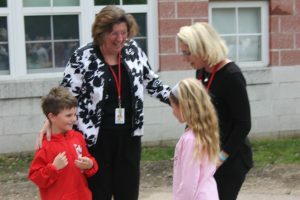 The announcement takes place as a surprise visit to the educator’s classroom or school. There are tears and cheers from the teachers being recognized, their colleagues, students and families. It is a wonderful day. I am thrilled to share with you the following winners as well as a video summarizing the day of surprise visits. Congratulations to Jen Troy (MHS), Ramsay Cadet (Tucker), Liz Cardiasmenos (Glover), Amy Harkins (Cunningham), Sam Bullard (Collicot), Jen Rhodes (Pierce) and Jon Redden (Dr. Mary Grassa O’Neill Leadership Award). Please join the MFE next Wednesday, May 23rd at MHS (6pm reception, 6:30 program begins) as we honor these accomplished educators. MaryKate Mylod (bottom row in blue) and friends at the Project 351 Reunion. MHS freshman (and 2017-18 Project 351 Ambassador, 2018-19 Alumni Leadership Council (ALC) member) Dominique Thomas shares the following about a recent Project 351 Leadership Reunion she attended. I am pleased to share Dominique’s experience and congratulate her and 8th grade student MaryKate Mylod on their work on behalf of Project 351. 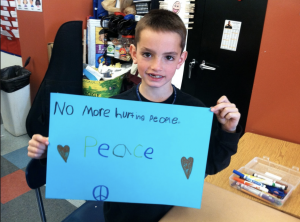 We all remember Martin’s sign – No More Hurting People , Peace. 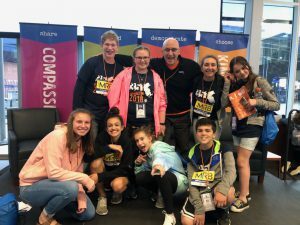 This past weekend, Project 351 Ambassadors and alumni came together during the annual Leadership Reunion at Gillette Stadium. On Friday, members of the ALC met at the Gillette Super Suites where we had leadership workshops. Nancy Frates, the mother of Pete Frates, came in to speak to the ALC about how she started a movement: The Ice Bucket Challenge. This tied into the weekend’s theme: “Be a Movement Maker,” encouraging us to be movement makers in our own communities. Community Building also happened throughout the day, and we ended by preparing for the arrival of Ambassadors the next morning. During Reunion, we experienced more leadership training and did service. 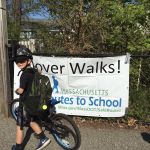 We worked together on a banner in honor of this year’s 2018 Honorary Ambassador Martin Richard who would have been in the 8th Grade this year. We all took turns writing messages of peace and inclusion, very much in the manner that Martin lived his life. The day ended with a Peace and Unity Walk around the stadium in honor of Martin Richard, and a celebration barbecue for all of the work we’ve done between Launch Day ( January) and Reunion. I was happy to meet up with friends and Milton’s current Project 351 Ambassador MaryKate Mylod. Every Ambassador and ALC leader brings unique talents and insight and I can’t wait to use the tools I have learned to continue to spread the message that we all can make a difference, in our homes, our schools, and in our communities. 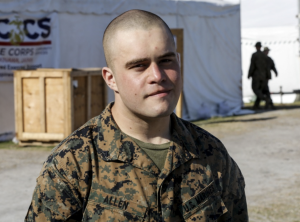 The Public Affairs Officer for the 3rd Marine Division based in Okinawa, Japan contacted us to share news of former Milton High School student Lt. Cpl Andre Allen, who now serves as a Marine in the Pacific. Lt. Cpl Allen is doing well in his career field and they wanted to highlight the work he does. 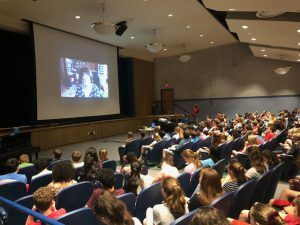 I am happy to share that information here and know you join me in wishing Lt. Cpl Allen all the best as he serves our country in the Marine Corp.
On Friday, May 4th, all 7th grade students engaged in a skype exchange with author Jane Yolen. 7th graders recently completed reading Yolen’s novel, The Devil’s Arithmetic and were eager to learn about the Holocaust from this talented writer. 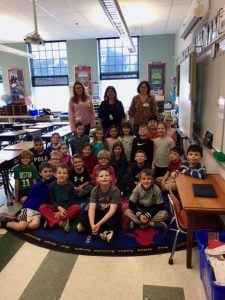 Teachers and students prepared questions to ask Mrs. Yolen and listened attentively as she shared some of her writing inspiration and challenges as well as shared insights into the novel they had just completed. Students asked questions about the difficulty of writing a Holocaust novel, the use of the motif of time travel, and how she developed various characters. 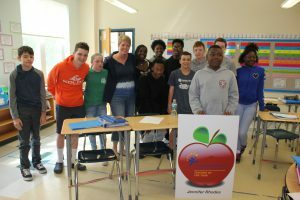 After engaging in questions, students shared some poetry – as Jane Yolen has not only written hundreds of books but is also a published and praised poet. Five poems were shared by students from all three teams. 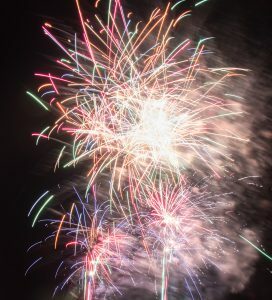 It was an incredible event, one we hope to continue in the years to come. 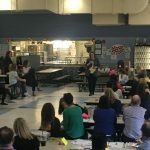 A big thank you to the Pierce PTO for sponsoring this event and to Dave Querzoli, 7th grade ELA teacher, for exploring this possibility and making it happen. Thank you also to Pierce librarian Jess Royster for her technical assistance and 7th grade ELA teachers Catherine Friedman and Lauren Hoyt for their help planning and executing this outstanding event. All Pierce students are invited to enter a logo design contest that begins this week and runs through the end of the month. 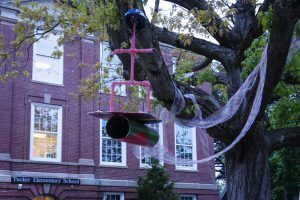 The contest is in honor of Caitlin Clavette, an art teacher that many of our Pierce students had during their elementary school years. Caitlin died 2 years ago, and a foundation in her honor has been hosting events and doing charitable things supporting the arts in Milton ever since. The Pierce PTO is pleased to offer School Supply Packages again this year! 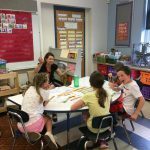 The Pierce teaching teams have assembled a supply kist by grade and language so that your student can be prepared for the 2018-2019 school year. To ease your efforts in this area (and as a PTO fundraiser), the Pierce Middle School PTO will be ordering school supplies over the summer for parents/guardians interested in taking advantage of this opportunity. If you are interested in ordering your child’s school supplies ahead of time at a bundled rate, you must do so by June 1, 2018. We will offer several times just prior to the start of school for package pick up. As this is a volunteer effort, we ask that you assemble your package (as well as a few others) during the pickup window in late August. This is a quick and easy process. The cost is $75.00 and prepayment is required. Please note- you are also welcome to purchase supplies on your own and can find the supply lists here. 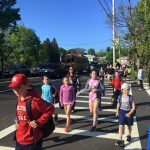 We have had some beautiful weather as our schools participated in Safe Routes Walk to School days over the last two weeks. 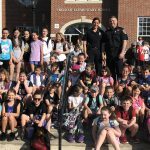 Thank you to the Milton Police Department for their assistance in facilitating Walk to School Days! 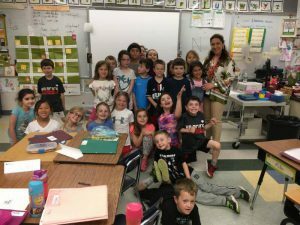 Collicot 2nd graders in Madame Hamada’s class have been enjoying their pen pal project this year and just recently the teacher whose class they have been corresponding with came to visit from France. Mme Boisteau’s daughter, Flora , has been living in the US and volunteering in Mme Hamada’s class this year and has been a wonderful addition to the class. 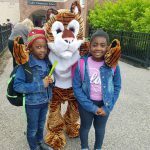 Our 2nd graders have appreciated connecting with their new friends in France! 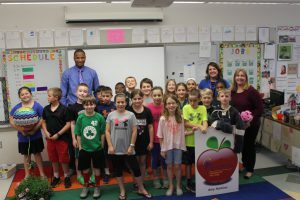 On Friday, May 11th, Collicot participated in their 2nd annual Junior Achievement Day! 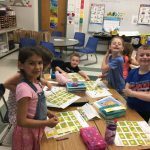 They welcomed 76 volunteers into every Collicot classroom to deliver JA curriculum to students. JA curriculum teaches the important skills of financial literacy, workplace readiness, and entrepreneurship. Volunteers included parents, grandparents, aunts, uncles, and community members. 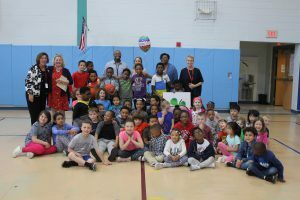 The curriculum and materials were provided at no-cost to the school through our partnership with Junior Achievement. I was pleased to attend, along with Assistant Superintendent Janet Sheehan to greet the volunteers and help kick off the day. 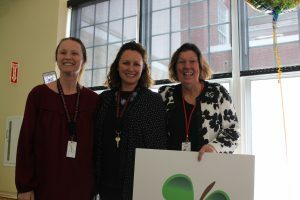 Thank you to JA Parent Volunteer Coordinators Christine Morrow, Heather Bergin, and Betsy Crowley for all their hard work organizing the event. A special thank you to community member and Collicot School Site Council member Margo Tansey for greeting all of our volunteers! I am delighted to tell you about a joint initiative between the Tucker and Glover Diversity Committees. The two committees have been meeting together for the last two years and collaborating on a number of activities and initiatives. 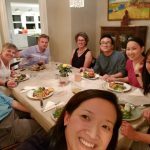 The latest collaboration was a successful series of Community Dinners. 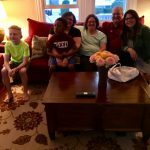 Families from both Glover and Tucker hosted dinners and others attended. Each dinner had participants from both schools and discussion guides were shared. Families had an amazing time meeting new friends, engaging in powerful discussions, and breaking bread together. We look forward to seeing this partnership continue as we welcome new families into our Tucker and Glover communities. 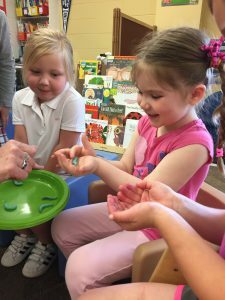 Our Edgehill PreKindergarten students enjoyed a special event this week. 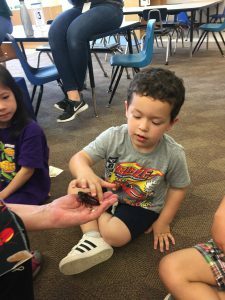 The PreK PTO (and the fabulously supportive PreK families) brought in Bug Works for all of the Edghill campus preschoolers to enjoy. 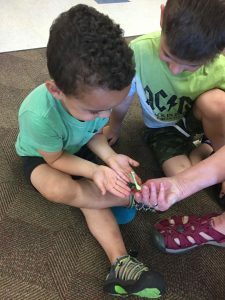 Our youngest studnets learned about insects through this hands on presentation and were thrilled to have the chance to hold some real live bugs including a very cool praying mantis! 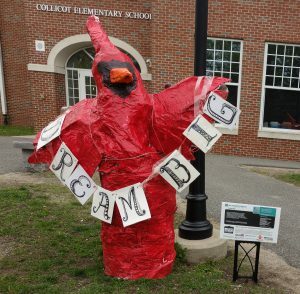 The Milton Public Schools is the lucky recipient of 5 Art in the Windows installations this spring. 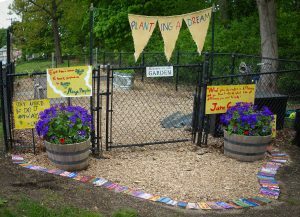 This youth driven art can be found at Tucker, Cunningham, Collicot and Glover (Turner’s Pond) and Pierce Middle School. Thank you to the Milton Art Center for allowing us to host the Art in the Windows 2018 projects. You can read about the details, inspiration and participants in each project here. 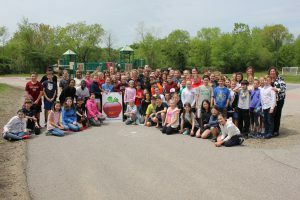 On Wednesday , May 9th, Katie Greer came to the Milton Public Schools to present to all 3rd-5th graders during the school day , and to the community with an evening presentation. Katie shared current trends/research and safeguard recommendations, plus several takeaways. Educational Technology Director AJ Melanson compiled some of the highlights from her presentation here. The second season of Netflix’s controversial show “13 Reasons Why” airs this Friday, May 18th. When the show premiered last March, the first season’s handling of heavy subject matter around sexual assault, depression, and suicide upset many parents, principals, school counselors, youth and many others. MPS Director of Health and Physical Education Noel Vigue asked me to share this guide from the people who produced the movie Screenagers. I encourage parents/guardians to read this information as your children will likely be talking about “13 Reasons Why” in the weeks to come. 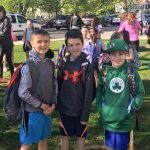 Have someone headed to Pierce 6th grade this fall? 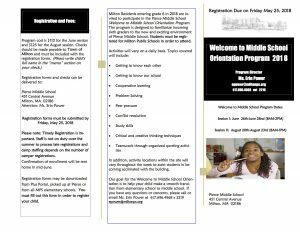 Don’t miss Welcome to Middle School – a 3 or 4 day introduction/orientation to all things Pierce! 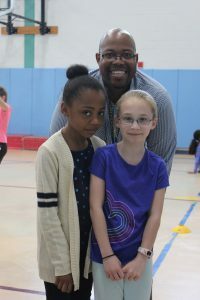 Get the lay of the land, learn the Pierce routine, make new friends, meet some of the Pierce teachers. Not to be missed! 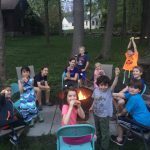 There are two camps offered – end of June (just after school gets out) and end of August (the week before school starts) – choose the one that works for your new middle schooler. 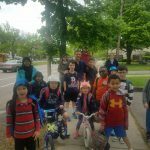 Deadline to register is coming fast – May 25th – so don’t delay! The Class of 2019 is hosting a Savers FUNDrive on May 19th from 9am-1pm. 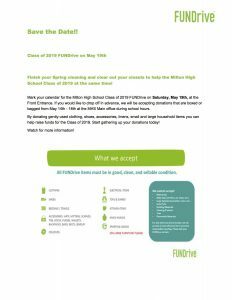 Finish your spring cleaning, clear out your closets and help the MHS Class of 2019 at the same time. If you would like to drop off in advance, we will be accepting donations that are boxed or bagged from May 14th – 18th at the MHS main office during school hours. 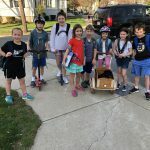 By donating gently used clothing, shoes, accessories, linens, small and large household items you can help raise funds for the Class of 2019. Start gathering up your donations today! 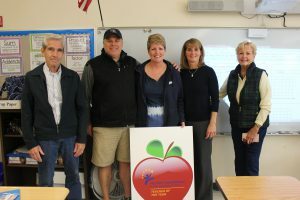 The Milton Special Education Advisory Council is accepting nominations to the Board for the 2018-2019 school year. Elections will be held during the meeting scheduled for May 22, 2018, at the Glover Library from 7-9 pm. Save the date for the Teacher of the Year Ceremony to honor the educators chosen as the 2018 Teacher of the Year at each school. 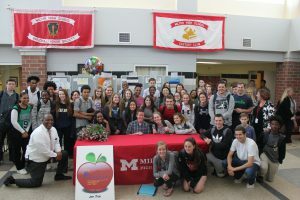 The MFE ceremony will be at Milton High School on Wednesday May 23rd at 6:30pm. 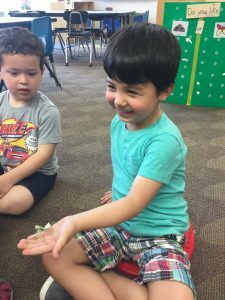 The Milton Public Library has many interesting and fun programs planned for kids. 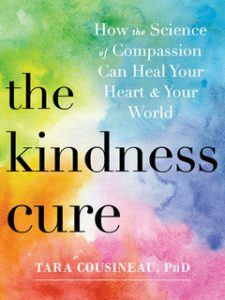 Local parent and author, Tara Cousineau, PHD, will be speaking about her new book, “The Kindness Cure: How the Science of Compassion Can Heal Your Heart and Your World”. Join her at The Milton Library Tues, June 5 at 7pm. Please enjoy the Tucker 2nd grade classes, under the direction of Colleen Martin, performing at yesterday’s Elementary Music Showcase. They are performing “Rocky Mountain” and students are using Orff instruments to improvise melodies and accompany the singers. Girls Softball hosted Brookline last night as part of their Milton Youth Softball Night. They trailed 2-0 until the bottom of the 6th, when they scored three runs. Ava Hiller hit a 2-run homerun and freshman Marilyn Carroll scored the go-ahead to win 3-2! They will also play Stoughton next week at 7pm on Wed 5/23 for their Senior Night. They need three more wins to make the tournament for the first time in 9 years! Baseball needs three wins to make the tournament, as they start their final stretch of the season. Girls Lacrosse needs just 1 win to qualify after they beat Bridgewater Raynham last night, and they host Oliver Ames next Thursday, 5/24 at 6:30 for their Senior Night. 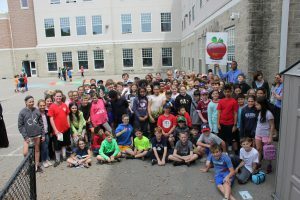 Squash is coming to MPS! 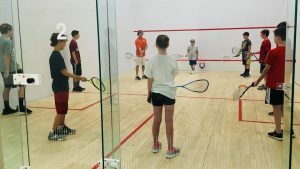 The enrollment form for our late spring squash clinic on Tuesdays and Thursdays from May 22 – June 14 (with no session on June 7) can be mailed, with the registration fee of $100, to the address on the form. You may also bring the form, waiver and check to the first session on May 22. Registration is first-come, first-serve enrollment is limited to 14 players. We need at least 8 participants to run the program. 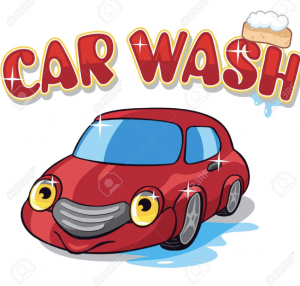 The MHS Cheerleading team will be hosting a CAR WASH on Saturday May 19 9-12 at the Cunningham/Collicot Driveway. 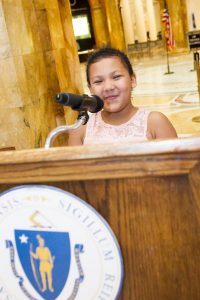 Students: Please join me in recognizing Kloee Puhala, a 3rd grader at Tucker, who recently spoke at the State House. 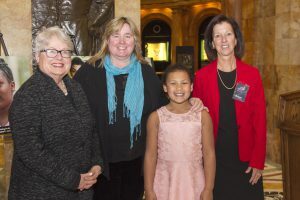 Kloee was one of the featured speakers during the Massachusetts Adoption Resource Exchange’s acceptance of the SEAL Award presented to them for their work in LGBTQ adoption. Kloee read a paper she had written for a school project on the “Best day of her life” which was her adoption day.​ Clearly the picture of her reading shows how proud she is to have had this special opportunity! 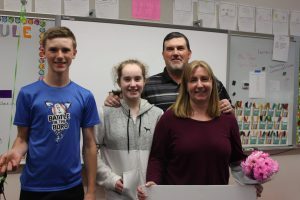 Staff: Congratulations to two of our Milton High School teachers, Kara Yifru and Jessica Jarboe, who have recently been recognized for their excellence in the classroom. 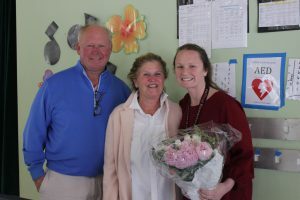 Jessica Jarboe, Mathematics and Computer Science teacher, was one of five finalists for 2018 Massachusetts STEM Teacher of the Year. The STEM Teacher of the Year program began in 2012 and is designed to honor teachers who show a commitment to excellence in STEM education. Jessica was selected as one of the five finalists and was interviewed in the early spring by the committee. Jessica has been highly involved in computer science education, teaching AP Computer Science, AP Computer Science Principles, Robotics, along with other computer science and mathematics courses at MHS. Additionally, Jessica was a Review Panel member for the Massachusetts Digital Literacy and Computer Science standards, serves as an Advanced Placement Computer Science Principles mentor for the CollegeBoard, and is a professional development facilitator for both Exploring Computer Science and Code.org, working with teachers across the country. Because Jessica was a finalist, MHS was awarded $1,000 for STEM education courtesy of Raytheon. 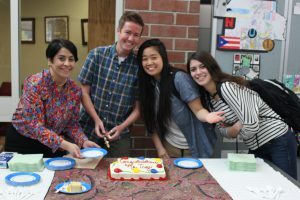 MHS Science educator Kara Yifru is one of three finalists for the PAEMST Award which are the highest honors bestowed by the United States government specifically for K-12 mathematics and science (including computer science) teaching. 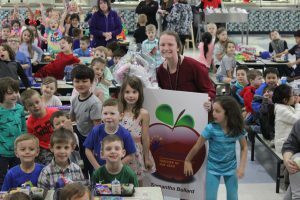 The award recognizes those teachers who develop and implement a high-quality instructional program that is informed by content knowledge and enhances student learning. Awardees serve as models for their colleagues, inspiration to their communities, and leaders in the improvement of STEM education. There are three finalists for the award from Massachusetts and our own Kara Yifru, who embodies all of the qualifications above, is one of them. 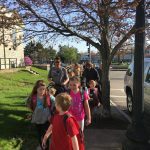 Kara was recognized earlier this year at a science conference, and will be recognized again June 21st at the State House when the winner will be announced. We are proud of Kara’s status as a finalist and look forward to hearing about the State House ceremony. Volunteers: There are countless members of our community who donate untold hours of time to the Town of Milton. A quick check of the Town of Milton website shows more than 50 committees and boards comprised of Milton residents. This week, I would specifically like to recognize 3 groups of people. Selectmen Kathleen M. Conlon, Richard G. Wells, Jr., Melinda A. Collins, Michael F. Zullas, Anthony J. Farrington, Warrant Committee members George A. Ashur, Brian Beaupre, Jonathan Boynton, Erin G. Bradley, Kevin D. Cherry, Clinton Graham, Christopher R. Hart, J. Thomas Hurley, Chuck Karimbakas, Gwendolyn Long, Scott D. Mackay, Maggie McAveeney,Steven McCurdy, Douglas B. Scibeck, Town Moderator Bob Hiss and the dozens of Town Meeting members who just spent time discussing and voting on issues facing our town. Please join me in thanking these volunteers for sharing their expertise and limited free time to benefit the Town of Milton. 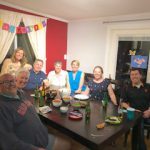 Thank you to my blog contributors this week: Karen Spaulding, Karen McDavitt, Holly Concannon, Zeina Hamada, Jon Redden, Laurie Stillman, Noel Vigue, Amy Gale, Nancy Warn, Nora Vernazza, Ryan Madden, Elaine McNeil-Girmai, Cat DesRoche, James Jette, Jean Scarborough, Jennifer Grubler, AJ Melanson, Christine Morrow, Dominique Thomas, MaryKate Mylod, Mandy Susi, Joan Clifford, Erin Powers, Rebecca Damiani, Colleen Martin, Dawn Sykes and Brian Kelly.